One type of home elevator San Francisco homeowners overwhelmingly choose to have installed in their homes is the Infinity luxury elevator from Diamond Elevator Inc. This elevator is powered by a hydraulic drive system that provides a smooth and quiet ride. Residents of houses with several stories will appreciate being able to customize this elevator with up to six stops. Homeowners can purchase these elevators with other features such as a second opening and a cab measuring 21 square feet that will hold up to 1,400 pounds. This elevator has recessed ceiling lights. Luxurious touches such as raised cherry panels are available in this model. Another type of home elevator San Francisco homeowners may want is the Savaria Gearless model. Its compact design makes it an ideal choice for people who have limited space for an elevator. This elevator’s gearless traction system provides a very quiet ride. People in the elevator and those in nearby rooms will appreciate this. The dual traction used in this model contributes to its gentle starts and stops. The elevator cab can be finished with vinyl laminate, veneer or hardwood. The Eclipse elevator does not require a machine room and can be installed quickly. 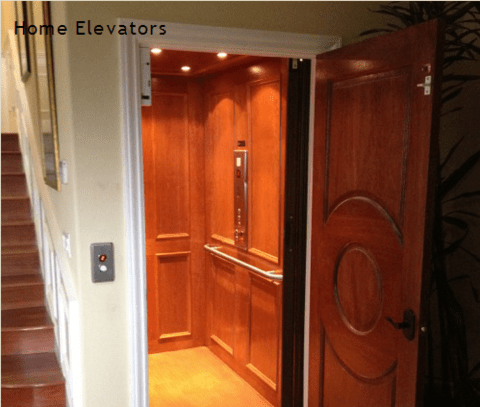 This makes it a home elevator San Francisco residents want when they need their home elevator installed quickly. Its cab can be finished with hardwood, veneer or melamine. Those who purchase Diamond elevators can choose wood, glass or white melamine finishes for the elevator cabs. Wood panels are available in cherry, oak, birch or walnut. Cherry panels can be inset or raised. Homeowners can choose finished or unfinished light oak panels. The finished oak panels can be inset or raised. Light oak and dark oak doors are available. Customers can also choose doors made of solid aluminum or perforated aluminum. Ceiling light options include recessed lights set in black or white bezels. No matter what style of home elevator San Francisco homeowners are looking for, Diamond Elevator Inc. has what you’re looking for.